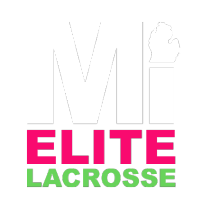 The MI Elite Lacrosse Summer program is dedicated to improving individual and team skills as well as exposing players to nation-wide competition and college coaches. We offer a fun, educational experience that will give players a new outlook on the sport of lacrosse. In the summer of 2019, players are going to have the chance to play for some of Michigan’s most experienced coaches. Our smart, young, enthusiastic coaching staff will provide an excellent learning atmosphere for these young players that will keep them engaged and having fun all summer. Players will learn proper mechanics and fundamental skills in our program while having fun at the same time! This year we will have two mixed high school teams. Players who are 2020s, 2021s, and 2022s are eligible for these teams. The teams will be split according to skill level, age, and commitment to the summer tournaments. There will be two teams or this age group with 20-22 players on each team. All new players will need to purchase a reversible jersey and a pair of team shorts for the tournaments. This is an extra $80 fee.